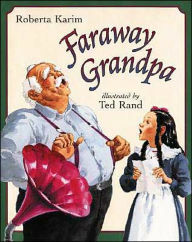 Summary: Faraway Grandpa is a heartwarming story about the unbreakable bond between a young girl and her grandfather during the early 20th century. The two families live far apart from one another and they write letters in order to stay in touch. Every summer the granddaughter and her parents travel to visit Grandpa. Unfortunately, on their last trip to Grandpa’s house, he has trouble remembering things. Element 2- Respect for Others: The young girl notices the changes in her grandfather’s actions and his inability to always remember their special traditions, and yet she does not let it change their relationship. The granddaughter continues to treat her grandpa with the same love and respect even when everyone else begins to act differently towards him because of his illness. Grandpa is actually able to remember things a lot more clearly when his granddaughter is around because of her unwavering support and encouragement. Activity: It is imperative for students to realize that everyone deserves respect and a meaningful life; no matter their age, ability, or background. Students should be aware that seniors should not be looked upon as burdens but as individuals full of wisdom and life stories to share. Faraway Grandpa reminds us that children too have the ability to teach others and make the world a better place. I would have my class write letters to and/or visit senior citizens, allowing for the exchange of knowledge and experiences from one generation to another. Take Social Action and VOTE!